Pulmonary Rehabilitation is a multi disciplinary program of care for patients with chronic respiratory impairment that is individually tailored and designed to optimize physical and social performance and autonomy. Although indicated for patients with COPD, asthma, cystic fibrosis and any other lung conditions, generally anyone with a compromised lung reserve would benefit from a specialized program that maximizes their level of function. Our team of qualified health professionals will address the physical, medical, social and psychological needs of the patient. The team includes a Physical Therapist, Occupational Therapist, Speech Pathologist, Psychologist and a Social Worker. Our program is conducted over a course of ten weeks with three sessions per week. In the first visit, a candidate for Pulmonary Rehabilitation is introduced to our medical staff. The initial session will be a pre-screening of the patient, done by a physical therapist, occupational therapist or a qualified medical professional. 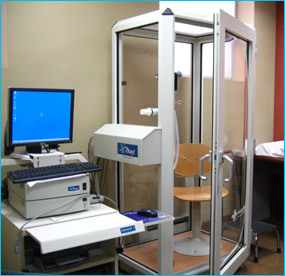 A review of all pertinent test results (recent pulmonary function test, arterial blood gases, and stress test) takes place. Any additional testing may be ordered as needed. Services beyond 10 weeks will be reviewed on an individual basis to determine medical necessity to continue treatment. To improve level of function and quality of life. To improve patients’ knowledge of pulmonary conditions for better self management. To educate the patient and their families.